PolyDiagnost already recognised the advantages of minimally invasive imaging methods of diagnosis at an early stage in history. The highly innovative company has now been developing micro-endoscopic instruments and systems for many years. 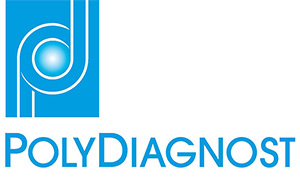 PolyDiagnost conducts research with profound medical knowledge and inexhaustible creativity. The outcome is remarkable. External endoscopic diameters down to unbelievable 0.25 mm allow insights into the body that formerly would only have been possible by surgery. The main advantages are a more precise diagnosis and immediate therapy or intervention. Necessary biopsies or minimally invasive surgeries can be carried out instantly during examination. An efficient and at the same time gentle treatment of which – besides hospitals and medical practices – above all the patients derive benefit. With the patented Tearchannel-MicroDrill-System, the All-Seeing-Needle® for MicroPerc® and the sterile disposable catheter for the flexible endoscopy line PolyScope, the developers of PolyDiagnost continue to push forward the boundaries in the field of micro-endoscopy. Currently, PolyDiagnost contributes its expertise to the European project DeNeCor- Devices for Neuro Control and Neurorehabilitation as well as in several bronchoscopic and other research projects. The modular platform makes PolyDiagnost a perfect partner for scientific teams as special requirements can be realized in a reasonable timeline.